Guest post by Zeba Wunderlich. Applying for academic jobs can conjure a mix of emotions: from excitement to anxiety. One of the specific challenges of the process is that it can be a long wait from when you submit your materials to when you are invited to interview—a distinct difference from other job markets, where the time between application and interview is short, and you can alter your job materials using a feedback cycle. For academia, you spend the time between application season and interview season wondering if you’ve submitted the strongest package possible. Of course, part of the outcome is out of your hands. Factors like your “fit” in the department, which may or may not be clear from the ad, can eliminate a very strong application from the short list. But the goal of this short guide is to help you take control of the part of the search process that is in your hands—the documents you provide to the search committee. Examples of cover letters abound on the internet, and the conventional wisdom is pretty spot-on. Most letters start with a formal statement of interest in a particular position and go on to briefly summarize the graduate school and postdoc accomplishments of the applicant, the applicant’s research plans for the future, and—if appropriate for the position—details about the applicant’s teaching interests and experiences. The cover letter is also a place where you can share information that doesn’t seem to belong anywhere else. Is there a gap in your CV you’d like to explain? Put it here. Is there a special reason that you think you’d be a great fit at an institution? Maybe there are faculty members who would be great collaborators, a research center you’d be excited to join, a reason you’d like to move to this location in particular. Share it here. You don’t want to be overly personal, but something like, “I’d like to move to location X to be close to my family in nearby Y” is OK and shows specific interest in a position. 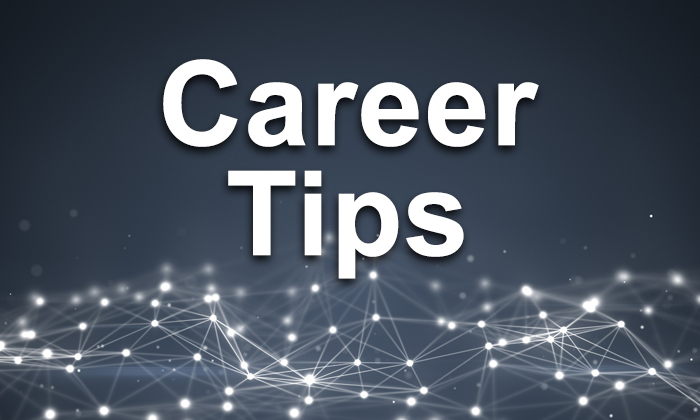 TIP: If there is a gap in your CV or something else that you don’t feel comfortable sharing in your cover letter, you may also ask one of your letter writers to address it in his or her letter. This might include reasons for why there is no letter from a key writer, like your thesis advisor, or why you are leaving an existing assistant professor position. In most cases, it’s better to explain an issue than to leave it unaddressed, which may distract readers from focusing on your strengths while they ponder what happened. Again, excellent sample CVs are widely available online. Put the key factors first: your education, postdoc or other research experience, and publications. You can then include awards and honors (especially grants and fellowships), teaching experience, presentations, and service, but put yourself in the shoes of the reader. What do you think they would like to know from your CV? Put those items first. TIP: If you were on the job market last year, don’t include those seminars on your CV. There’s no problem with going out on the job market more than once, but those seminars won’t strengthen your CV. TIP: If you have manuscripts in preparation, submitted, or under review, keep them in a section separate from your published papers. You may want to limit this list, as many faculty members don’t weigh manuscripts in preparation very heavily, and too many entries can seem like you have a lot of things to finish in your postdoc lab! 1 – A vision or the big question you’d like to tackle. You should also include WHY this is an amazing question/vision. 2 – How your research accomplishments to date have contributed to this vision. You can choose to include your graduate accomplishments or not. You have to decide if you can weave them into the story or if they are unnecessarily distracting. 3 – How you are uniquely suited to attack this big question. What’s your niche? This can be especially important if you work in a popular or crowded field—making the case for your unique approach will make your application especially compelling. 4 – The next steps you plan to take in your own lab to contribute to your grand vision. This section, known as the Aims, will be the bulk of the statement, but without items 1–3, it will be hard for the reader to evaluate your research plan. TIP: Often you are addressing a big question using a particular model system. EXPLAIN WHY this is the best model to use; what about it is either (1) highly representative of the general biological problem or (2) experimentally advantageous in a way no other system is? Most of the time, someone outside your immediate field will be reading your research statement and will not necessarily know if your model is a good system to answer your big question. As an added bonus, you will need this rationale to write all your grants, so you might as well start early! In the teaching statement, most candidates choose to include their classroom and mentoring experience, and some include classes they’d like to teach and a brief statement of teaching philosophy. If the job for which you are applying has a strong focus on teaching, the classes of interest and teaching philosophy are more likely to be needed, and you will want your teaching philosophy to be well structured and well reasoned, preferably supported by evidence. TIP: When listing classes that you would be interested in teaching, be sure to pick classes that the hiring department might feasibly teach. TIP: Even if you are applying to a university where the teaching load is relatively light, put effort into the teaching statement. I’ve seen packages with beautiful research statements and teaching statements riddled with typos and poor sentence or paragraph structure. This can considerably dampen enthusiasm for a candidate. Some universities request a statement on your contributions to diversity. This can often stump applicants, as they don’t know exactly what to write. For my own institution, if you search for “UC Irvine Diversity Statement,” you can find the university policy on diversity statements in faculty applications and a bullet point list of what is expected in such a statement. If it’s not clear for the institution you are applying to, ask around; see if you have a friend or colleague who applied to that institution or (even better) works there now. Make the effort! I find the rate of typos, editing errors, or totally off-topic statements is much higher in the teaching and diversity statements than in other parts of the package, which can ding your application unnecessarily. Besides these specific tips, you can both improve your application and alleviate stress by assembling a trusted set of mentors and colleagues who can help read your materials and share the highs and lows of the process with you during the months ahead. Good luck! 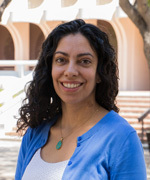 Zeba Wunderlich is an assistant professor in the Department of Developmental and Cell Biology at the University of California, Irvine. She has served as a member of a faculty search committee in her department. Her lab, established in 2015, studies how features of regulatory DNA, like enhancers and promoters, encode specific properties of gene regulatory networks, like their ability to function under perturbation or to evolve to meet new demands.